MIDI, of course, is the lingua franca of music gear. AKA “Musical Instrument Digital Interface,” the protocol first developed in the early 80s and has been a common feature on computers and gear and quite a few oddball applications ever since. And it’s a bit of a myth that MIDI itself hasn’t changed since its 80s iteration. Part of that impression is because MIDI has remained backwards compatible, meaning changes haven’t been disruptive. But admittedly, the other reason musicians think about MIDI in this way is that the stuff they most use indeed has remained fairly unchanged. Engineers and musicians alike have clamored for expanded resolution and functionality ever since MIDI’s adoption. The announcements made by the MIDI Manufacturers Association aren’t what has commonly been called “HD MIDI” – that is, you don’t get any big changes to the way data is transmitted. But the announcements are significant nonetheless, because they make official stuff you can use in real musical applications, and they demonstrate the MMA can ratify official changes (with big hardware maker partners onboard). Oh, and they’re really cool. First, there’s MIDI Polyphonic Expression, aka MPE. The name says it all: it allows you to add additional expression to more than one note at a time. So, you’ve always been able to layer expression on a single note – via aftertouch, for instance – but now instead of just one note and one finger, an instrument can respond to multiple notes and multiple fingers independently. That means every fingertip on an instrument like the ROLI Seaboard can squish and bend, and a connected sound instrument can respond or a DAW can record the results. Hardware has found ways of hacking in this support, and plug-ins that require complex per-note information (think orchestral sound libraries and the like) have had their own mechanisms. But now there’s a single standard, and it’s part of MIDI. Making MPE official should improve implementations already out there, and standardize inter-operability. And it means no more excuses for software that hasn’t picked it up – yeah, I’m looking at you, Ableton. Those developers could (reasonably) say they didn’t want to move forward until everyone agreed on a standard, to avoid implementing the thing twice. Well, now, it’s time. More demos and product compatibility information is in the news, though of course this also means soon we should do a fresh check-in on what MPE is and how to use it, especially with a lot of ROLI hardware out there these days. MPE you might have heard of, but there’s a good chance you haven’t heard about the second announcement, “Capability Inquiry” or MIDI-CI. In some ways, though, MIDI-CI is the really important news here – both in that it’s the first time the MIDI protocol would work in a new way, and because it involves the Japanese manufacturers. 1. Profile configuration – “Hey, here’s what I am!”. Profiles define in advance what a particular instrument does. Early demos included an “Analog Synth” and a “Drawbar Organ” draft. You already know channel 10 will give you drum sounds, and General MIDI drum maps will put a kick and a snare in a particular place, but you haven’t been able to easily control particular parameters without going through your rig and setting it up yourself. 2. Property exchange – save and recall. If configuration tells you what a device is and what it does, the “exchange” bit lets you store and recall settings. Last week, manufacturers showed gear from Yamaha, Roland, and Korg having their instrument settings saved and recalled from a DAW. MMA say the manufacturers demonstrated “total recall.” Awesome. 3. Protocol negotiation – the future is coming. Actually, this is probably the most important. Profile configuration and property exchange, we’ll need to see in action before we can judge in terms of utility. But protocol negotiation is the bit that will allow gear now to build in the ability to negotiate next-generation protocols coming soon. That’s what has been commonly called “HD MIDI,” and what hopefully will bring greater data resolution and, ideally, time stamps. Those are features that some have found in alternative protocols like Open Sound Control or in proprietary implementations, but which aren’t available in standard MIDI 1.0. And this “negotiation” part is really important. A future protocol won’t break MIDI 1.0 compatibility. Gear built now with protocol negotiation in mind may be able to support the future protocol when it arrives. As musicians, as hackers, as developers, we’re always focused on the here and now. But the protocol negotiation addition to MIDI 1.0 is an essential step between what we have now and what’s coming. The MIDI-CI adoption process here, while it’s not the most exciting thing ever, also indicates more buy-in to the future of MIDI by the big Japanese manufacturers. And that finally means the AMEI is backing the MMA. While even many music nerds know only the MIDI Manufacturers Association, significant changes to MIDI require another organization called the Association of Musical Electronics Industries – AMEI. The latter is the trade group for Japan, and … well, those Japanese manufacturers make gear on a scale that a lot of the rest of the industry can’t even imagine. Keep in mind, while music nerds drool over the Eurorack modular explosion, a whole lot of the world is buying home pianos and metronomes and has no idea about the rest. Plus, you have to calculate not only a different scale and a more corporate culture, but the fact that a Japanese organization involves Japanese culture and language. Yes, there will be a gap between their interests and someone making clever Max/MSP patches back in the States and dreaming of MIDI working differently. So MIDI-CI is exciting both because it suggests that music hardware will communicate better and inter-operate more effectively, but also in that it promises music humans to do the same. But here again is where the craft of music technology is really different from industries like digital graphics and video, or consumer electronics, or automobiles, or many other technologies. Decisions are made by a handful of people, very slowly, which then result in mass usage in a myriad of diverse cultural use cases around the world. The good news is, it seems those decision makers are listening – and the language that underlies digital music is evolving in a way that could impact that daily musical usage. And it’ll do so without breaking the MIDI we’ve been using since the early 80s. The post MIDI evolves, adding more expressiveness and easier configuration appeared first on CDM Create Digital Music. 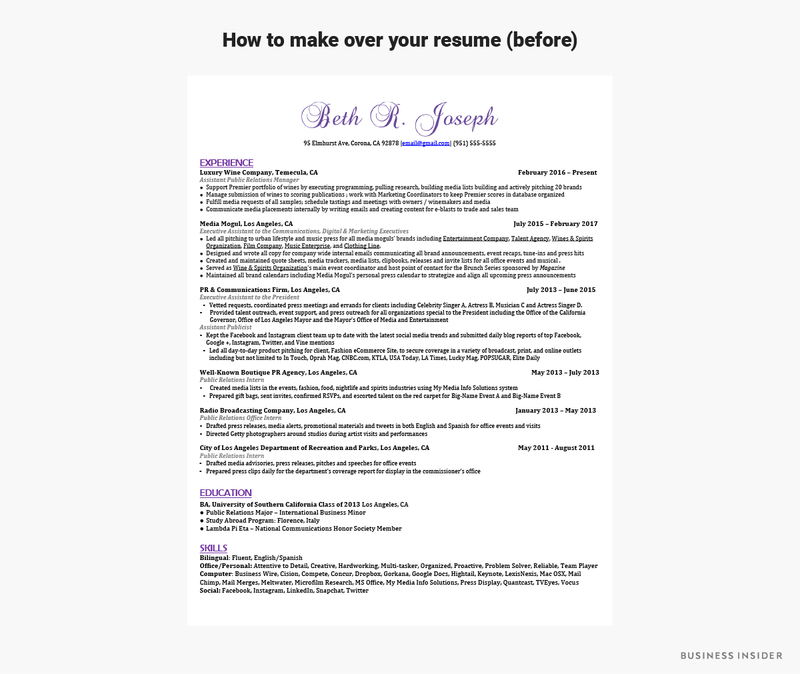 "The best time to update your résumé is when you don’t need it right away, when there’s no pressure or tight deadline hanging over your head," she told Business Insider. 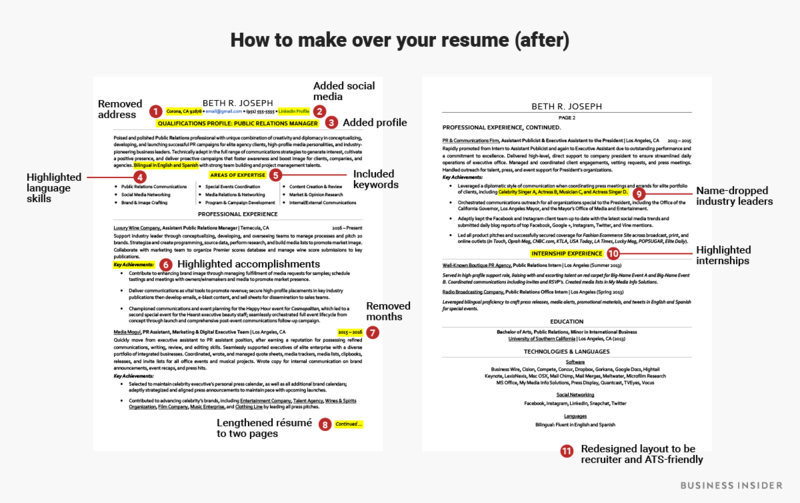 "You want to approach the résumé-writing process — whether you’re planning to work with a professional résumé-writing service like TopResume or go it alone — when you have access to important information and there aren’t any emotions clouding your judgment." 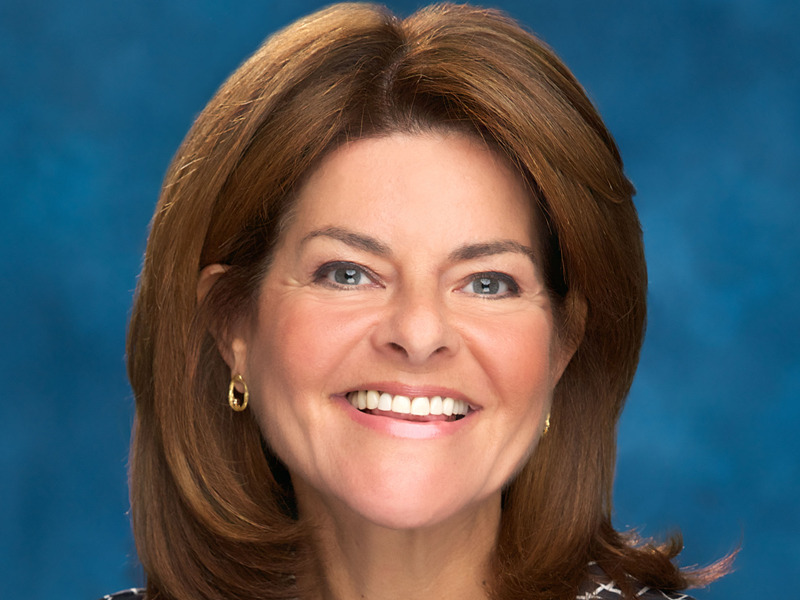 "While it’s important for most candidates to add LinkedIn to their résumé, it’s even more so for Beth, since she is in PR, and social media is a critical area of expertise for her career progression," Augustine said. "The professional title clearly states Beth’s current job, leaving no room for ambiguity," Augustine said. "However, the word ‘manager’ in the title can be swapped out at any time to reflect whatever specific position Beth is targeting." The post Tips for Better Smartphone Photography by Darlene Hildebrandt appeared first on Digital Photography School. Eventually, we might be able to consider daily pills a thing of the past. That’s the vision of Lyndra, a company developing technology that transforms daily pills into weekly treatments. The hope is by taking a pill only once a week, you’re less likely to forget a dose, something that’s critical when treating conditions like HIV. One day, a daily prescription will feel as outdated as not having an answering machine. That’s the vision of Amy Schulman, CEO of the startup Lyndra. Lyndra’s developing pills that can be taken on a weekly basis instead of once a day. "I imagine a world where my children’s children will say to me, ‘I don’t understand — you took a pill every day?’ And it will be as inconceivable to them that I took a pill every day as it is to my children that I had to argue with their grandparents over getting an answering machine," Schulman said. An estimated $100 billion of avoidable medical costs are attributed to people not taking their medications as prescribed. And for many daily treatments, skipping a pill can be a major issue that leads to the drug not being as effective in the long run or even developing resistance to the medications in the case of HIV. Lyndra was founded in 2015 after the Gates Foundation provided a grant to Massachusetts Institute of Technology professor Bob Langer to develop a long-acting malaria prevention treatment. In 2017, the company raised $23 million in funding to get into human clinical trials. While the pill technology could be used for any number of daily medications, to start Lyndra’s focusing in on a few areas. Those include neurologic conditions like Alzheimer’s disease in partnership with Allergan, behavioral conditions, and one day potentially developing longer-acting treatments for diabetes or cardiovascular disease. And in January, the company showed that in animals it could deliver commonly-used HIV medication on a weekly basis, rather than needing to take it every day. 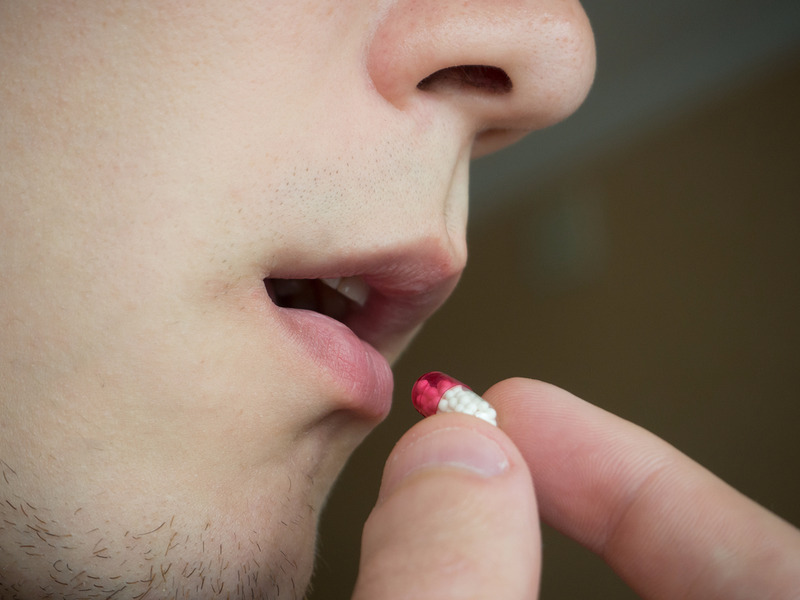 The weeklong pill might look like any other vitamin or pill you take that comes in a capsule. What’s different is what’s inside. Once the pill hits the stomach, the capsul dissolves and the pill opens up with six biodegradable arms that fold out in the shape of a starfish and emit the drug. "Like most great solutions, once you figure it out it’s really simple," Schulman said. Lyndra isn’t the only company trying to figure out how to make people more adherent to their medications. That includes coming out with injectable versions that only require you to take it once or twice a month, and implanted devices. But those pose their own challenges, since they can be more invasive or require more medical attention than a simple prescription. Especially when it comes to treating HIV, access to a clinic where you might be able to get an injection could be limited, Schulman said. "People would by and large prefer to take a pill," Schulman said. 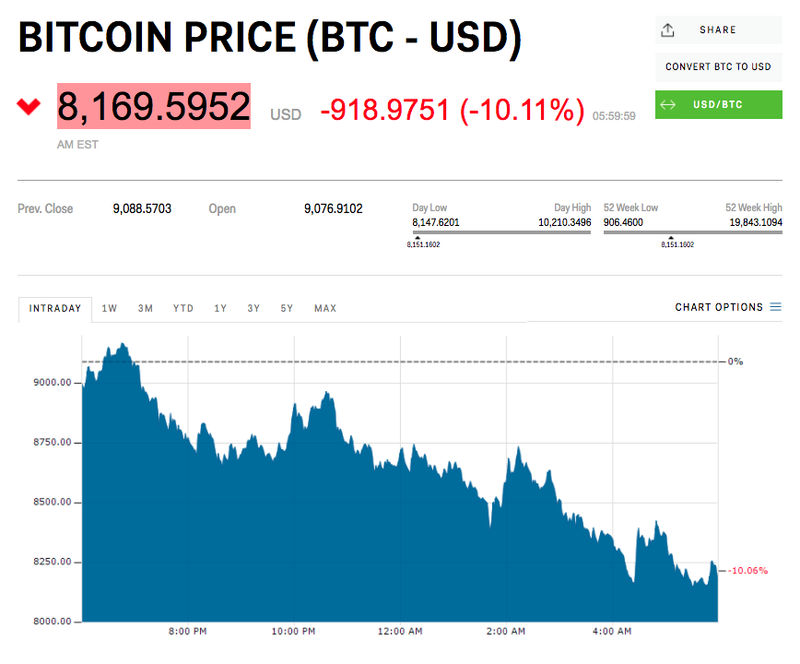 Bitcoin down 10% against the dollar on Friday morning. Ethereum, Litecoin, Bitcoin Cash, and Ripple are also all down. Concerns over regulation, an advertising ban from Facebook, and investigations into cryptocurrency Tether have all hurt sentiment. LONDON — The cryptocurrency market’s terrible start to the year is deepening, with all major digital assets suffering big falls on Friday morning. Other cryptocurrencies are registering similarly steep declines. 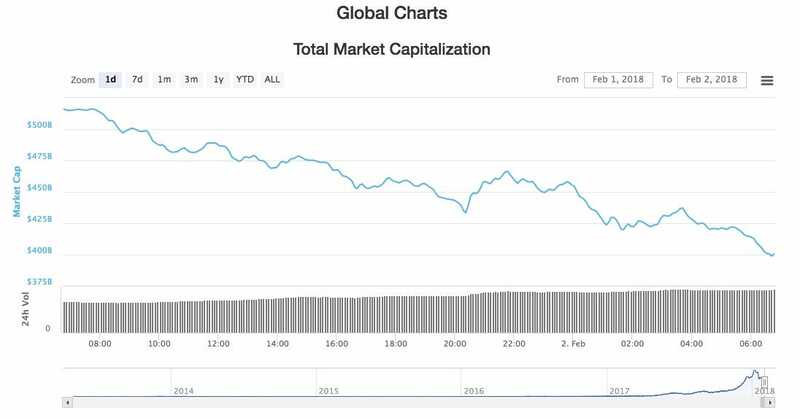 In fact, the market value of all main cryptocurrencies in circulation has dropped from just over $500 billion to around $400 billion in the last 24 hours, as this chart from CoinMarketCap.com shows: Market capitalisation is an inexact measure of cryptocurrencies (as my colleague Sam Jacobs has outlined) but it at least gives a good idea of the scale of the current sell-off. Neil Wilson, a senior market analyst with ETX Capital, says in an email: "The wheels are coming off the bitcoin bandwagon. More concerns have emerged about the sector this week as Facebook banned cryptocurrency adverts and US regulators began investigating Tether, a cryptocurrency that some fear has been used to inflate the value of bitcoin. Indians finance minister also said this week that the Indian government "does not consider cryptocurrencies legal tender or coin and will take all measures to eliminate use of these crypto-assets in financing illegitimate activities or as part of the payment system." Will Martin contributed to this article.